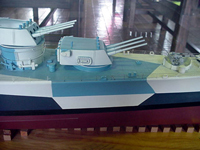 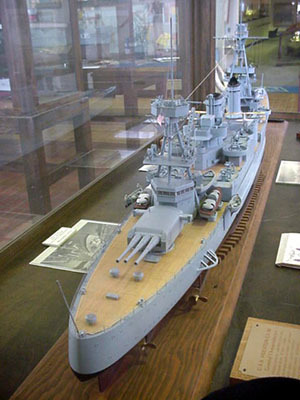 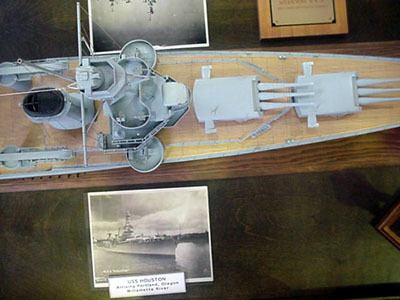 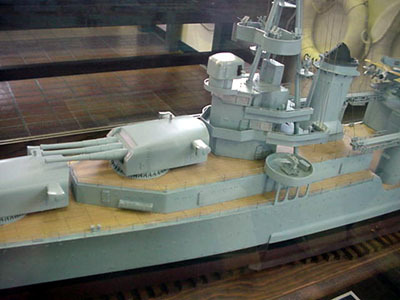 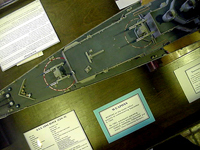 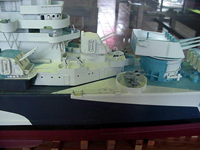 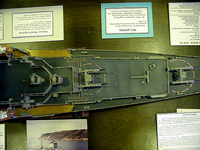 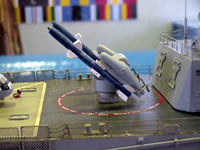 1/96 scale model by Mike Hammond, USS Nevada Association Historian. 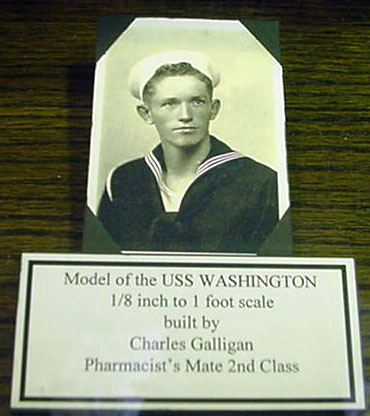 1/96 scale model by Charles Galligan, USS Washington veteran. 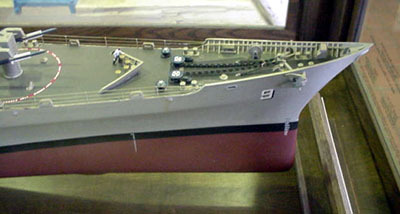 This famous model of the Long Beach was built by Loren Perry, of Gold Medal Models during the early 1980's. 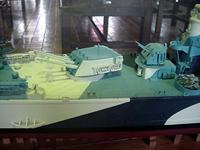 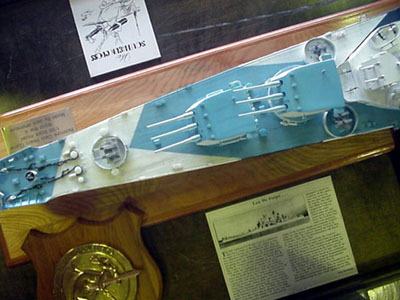 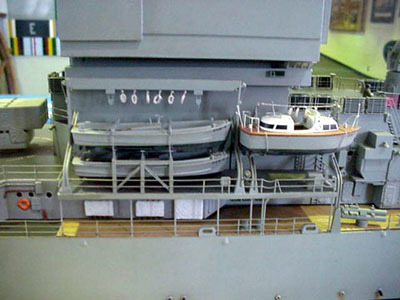 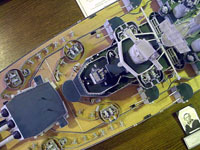 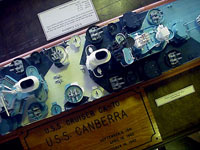 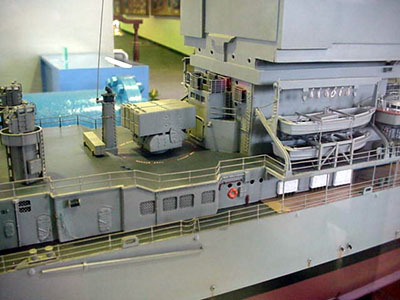 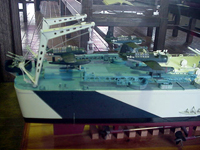 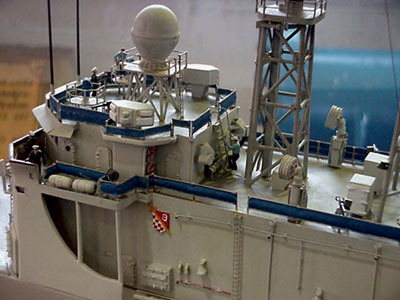 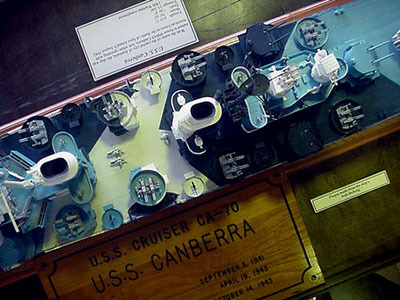 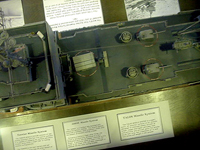 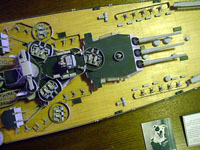 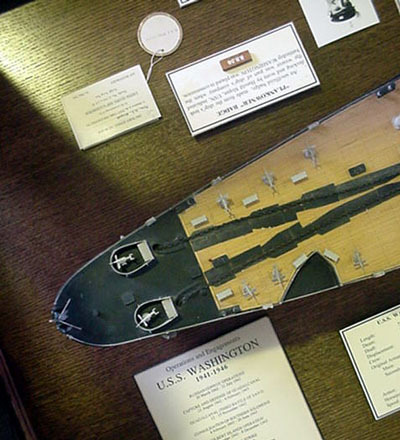 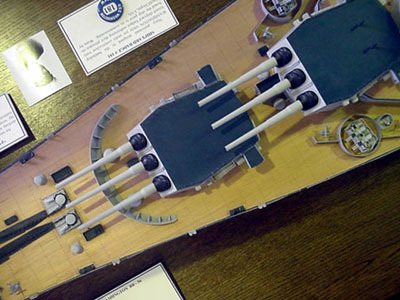 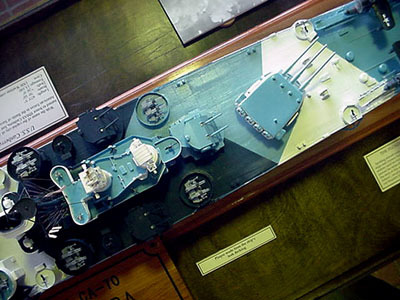 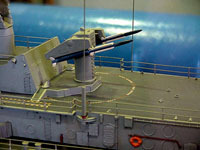 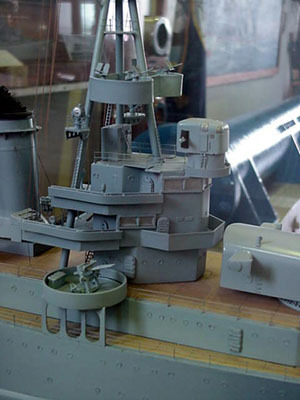 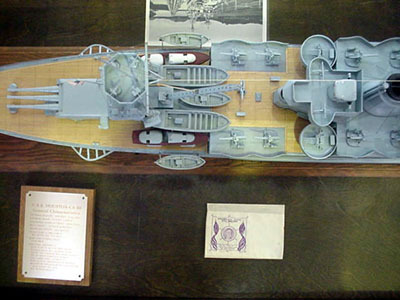 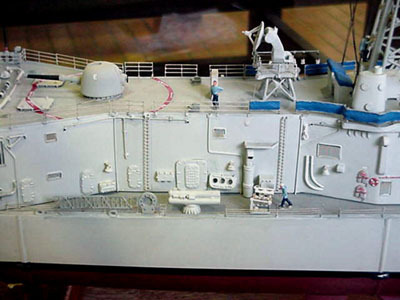 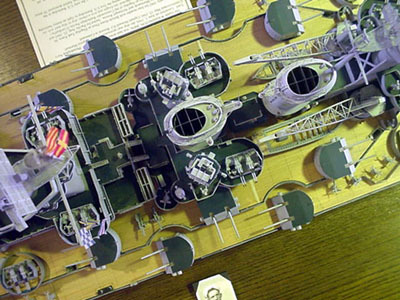 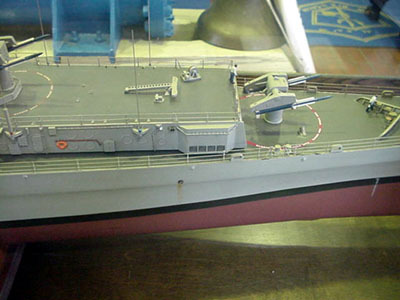 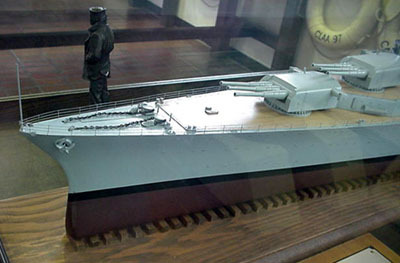 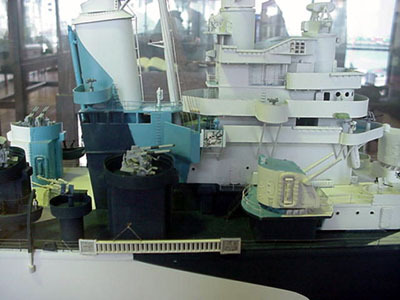 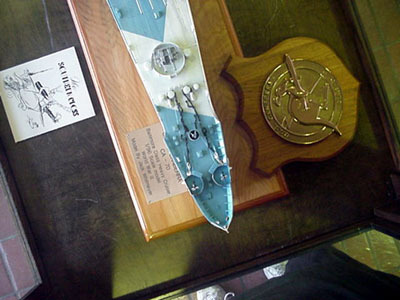 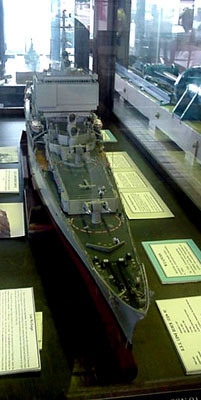 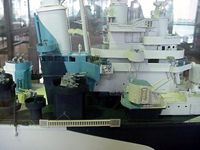 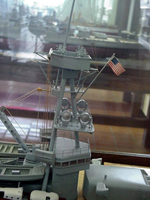 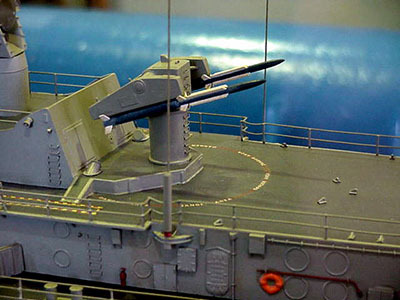 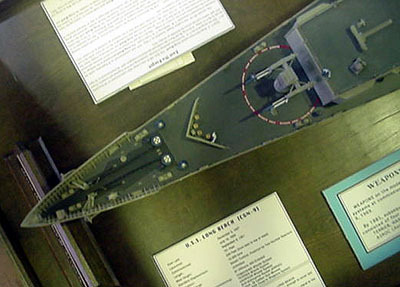 Because of extensive magazine coverage at the time, and Loren's later contributions to this hobby as the editor of Scale Ship Modeler during that magazine's heyday, it has earned a place of honor in scale warship modeling. 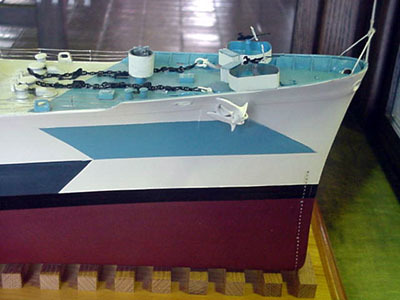 Many people, especially me, were influenced by Loren's models to build better ship models. 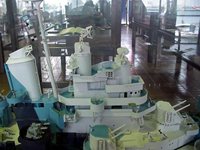 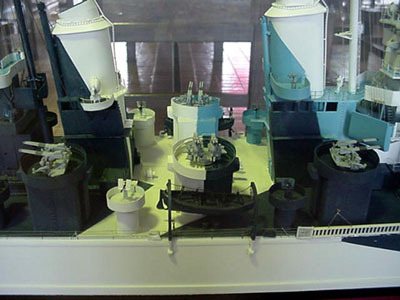 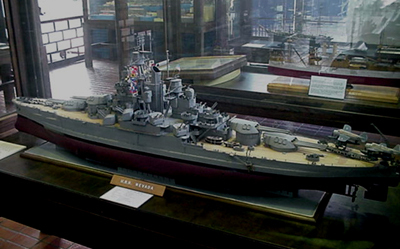 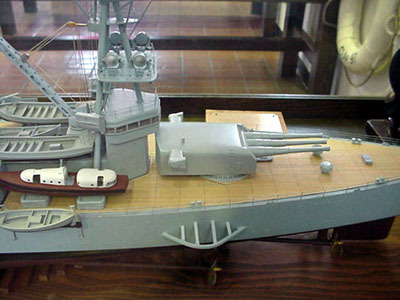 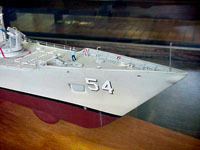 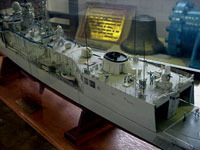 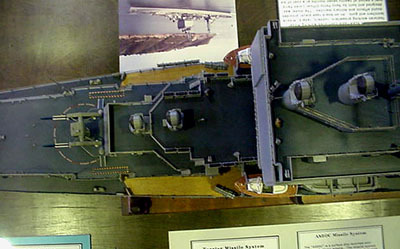 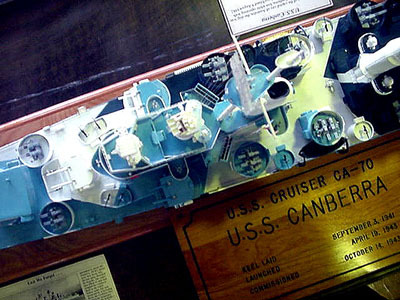 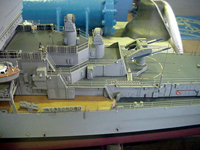 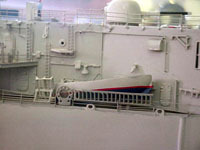 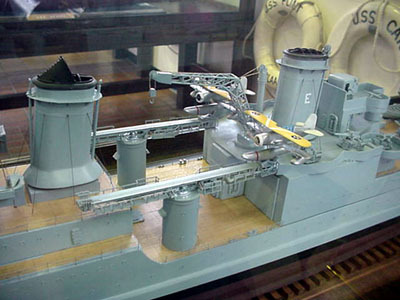 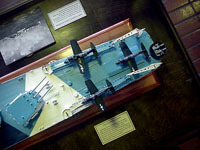 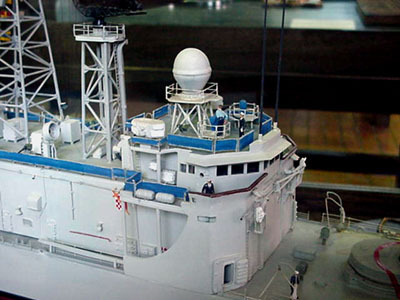 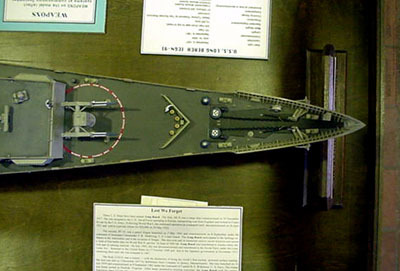 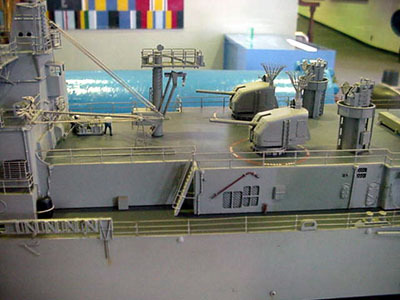 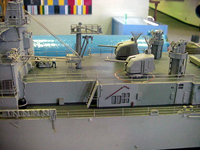 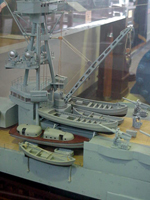 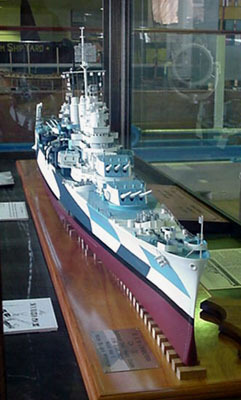 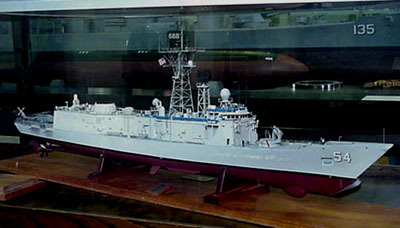 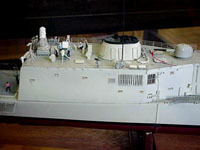 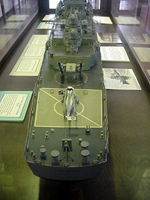 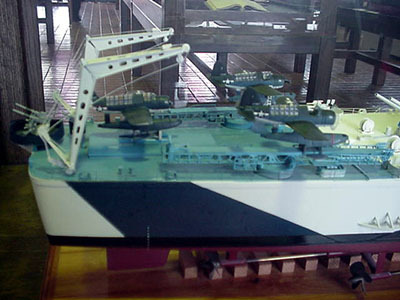 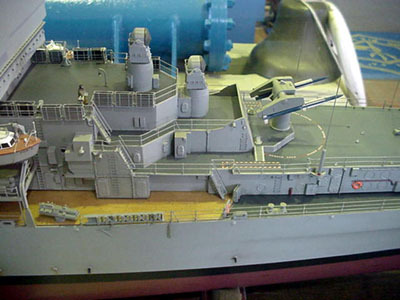 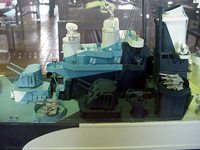 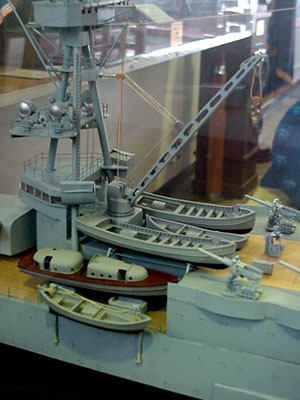 Loren retired this model and gave it to the Los Angeles Maritime Museum. 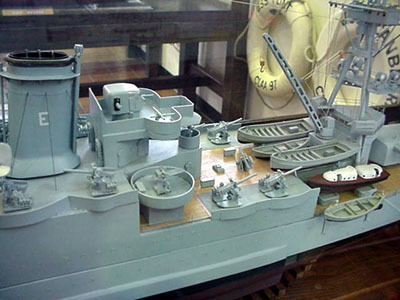 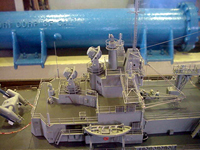 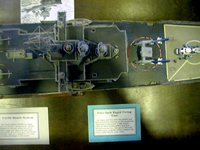 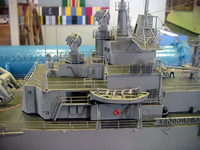 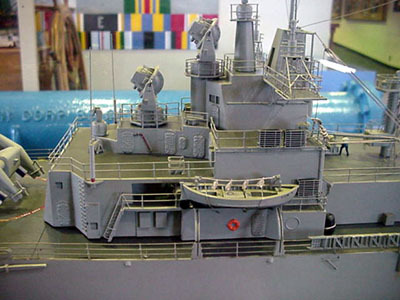 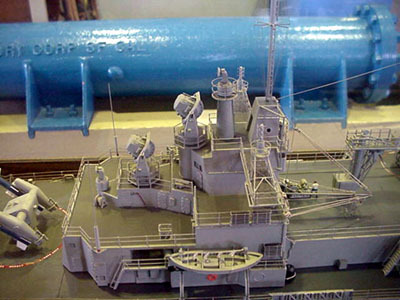 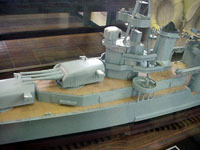 This model was built and operated by the late Butch Plake, who started Plake Enterprises, one of the early manufacturers of photo etched brass parts for 1/96 scale ship models. 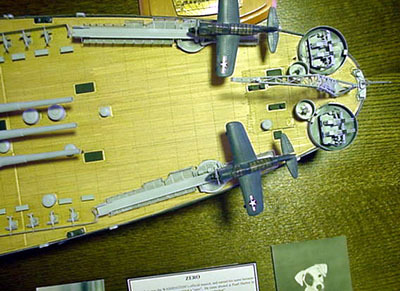 Butch's models were well built, neat in appearence, and often highly animated, as he was very clever with mechanisms. 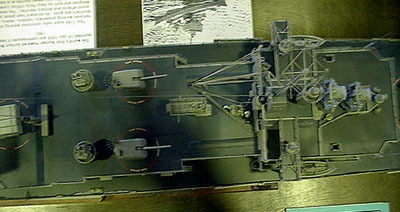 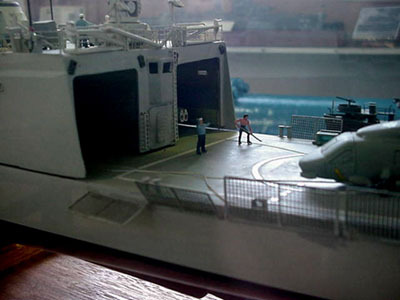 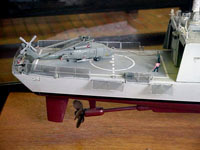 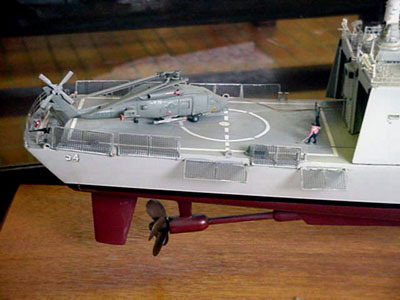 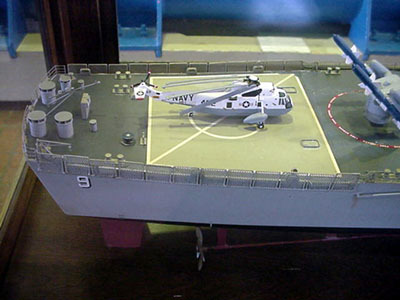 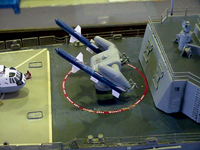 For example, on this model the helicopter could retract into the hanger, among other functions. 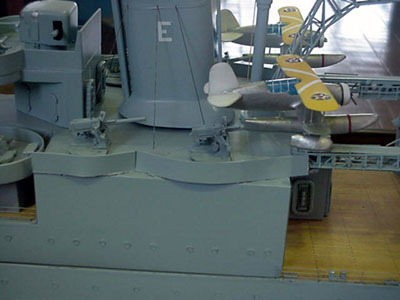 This page viewed 10 times. Thanks for visiting!